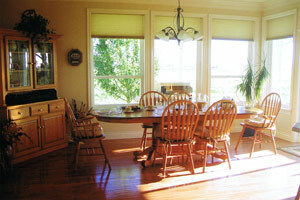 This spacious home offers well appointed and restful rooms, large windows with expansive views of Mt. Baker, and plenty of wildlife (bald eagles, blue herons, hawks, ducks, white swans and many more birds). This 420 sq. foot suite is the only room in the house where guests can view and enjoy the sunset and sunrise. 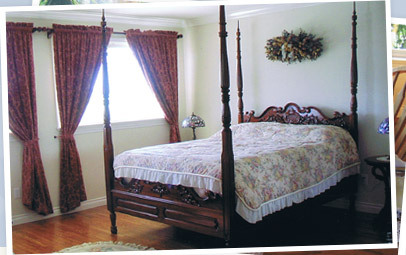 It features exquisite craftsmanship on the Victorian style furniture, queen size bed, premium mattress, ensuite bathroom. Add $15 for additional guests. This 260 sq. foot room features hand carved-mahogany furniture with a four poster bed and windows that view out to Mt. Baker, queen sized bed, premium mattress, and ensuite bathroom. 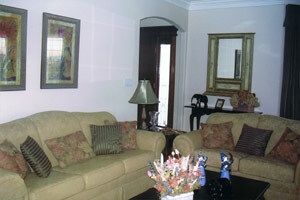 Both rooms have large ensuite bathrooms with bath tub/shower unit combination and glass shower doors. 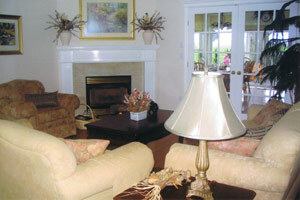 The guest rooms have oak floors, in-room cable TV, ice bucket and wine glasses, and separate guest entry. Seating area with table and chairs. A cot and a twin size bed can be added to the rooms to accommodate extra guests. Guest refrigerator. … Gold star B&B. Felt like royalty sleeping in the amazing bed. E & IA from Abbotsford, BC, Canada … An elegant oasis on the edge of the busy city. We very much enjoy our stay in your country luxury. … Well your home truly beats any 4-5 star hotel. 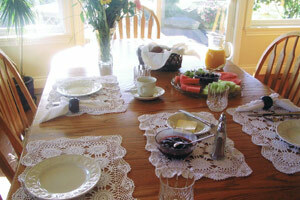 It is really gorgeous, comfortable, quiet, spotlessly clean and fabulous breakfasts. N & L from England … Thank you so much! We loved it here. You are a great hostess, we will be back again to explore this beautiful area. … For our first night in BC we could not hope for a better place. Unfortunately our stay was too short. A & A from Genova, Italy … Thank you for sharing your beautiful home with us. Best nights sleep I have had in 12 nights over here in Canada. Check in time: anytime between 4-7 PM or earlier or later than that by arrangement. Enjoy casual comfort in the living room with a gas fireplace & plenty of comfortable seating; relax with a book or just before breakfast in the morning. Courteous hostess will happily provide you with information about the area, local attractions, and restaurants or help make travel arrangements, bookings.